The foundation repair specialists at Texas Concrete & Foundation Repair are especially well-equipped to make these types of pool deck repairs. Contact Texas Concrete & Foundation Repair to have your pool deck inspected today! We serve Round Rock, Austin, Waco and neighboring areas throughout Texas. Get a free estimate for pool deck lifting and repair. Customer had a pool deck that had sunken and pulled away from an exterior wall, Texas Concrete & Foundation Repair was able to lift and level the pool deck closing the gap. Texas Concrete & Foundation sealed the exposed joints on the pool deck , this prevents water from infiltrating and causing settlement . Worried that your sinking swimming pool deck might be a tripping hazard? 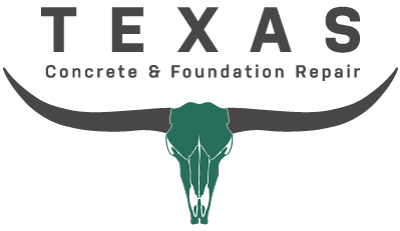 Texas Concrete & Foundation Repair has successfully raised and restored hundreds of pool decks in Austin, Round Rock, Waco, Fredericksburg, Cedar Creek, Georgetown, Killeen, Pflugerville, College Station, Temple and throughout Texas. Contact us today! We can answer any questions you have about concrete repair and provide you with a free estimate to repair your pool surround.